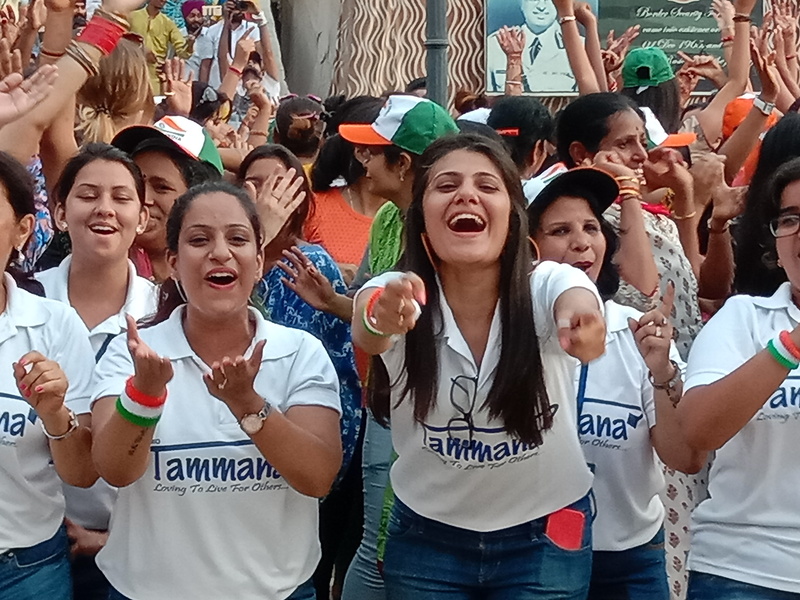 Chandigarh, August 13, 2018: NGO Tammana organized an to Amritsar on the upcoming eve of NGO’s 10th Anniversary and the 72nd Independence Day of India. 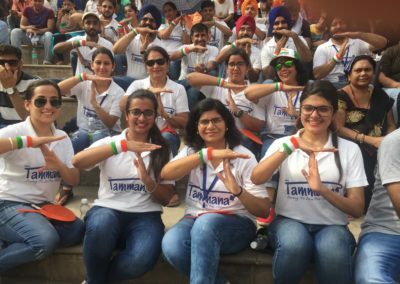 The Chief Advisor for Tammana, Mr. Prabhjeet Singh informed that the team was taken to Wagah Border, Jalian wala Bagh Memorial and the Golden Temple to pay their respects to the Men in Service guarding our Nation with a smile and pride, our martyrs who braved the odds and to the Almighty, the supreme, to be able to serve the community the way Tammana does. 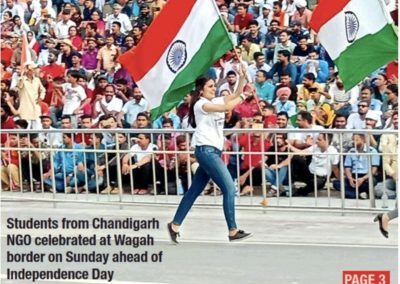 The General Secretary with Tammana, Mr. Jaskaran Singh said, that the team was elated to visit Wagah Border where the atmosphere was electrifying as thousands of people had gathered to watch the Retreat ceremony, and the enthusiasm and was at its peak as India’s 72nd Independence day is approaching. 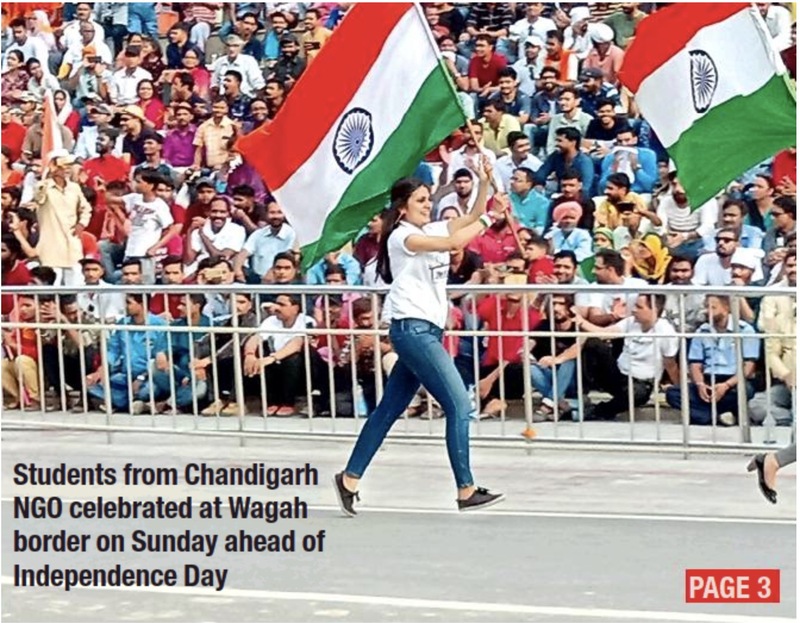 “Our spirits got Tricolored when the female members of the Team along with fellow Indians got a chance to wave the National Flag in the pre-ceremonial activity followed by dancing admist of thousands of people Chanting India-India, Vandey-Matram, in sync. 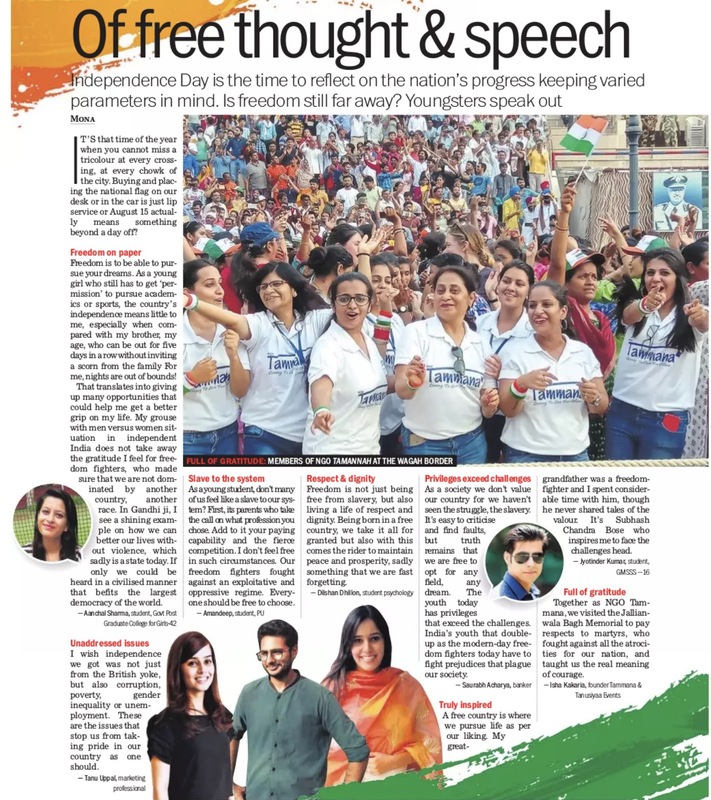 It was a moment of pride, joy, and ecstasy as the love for Nation was out-poured by the crowd from all the directions”, added the Founder-President of the NGO, Ms. Isha Kakaria. 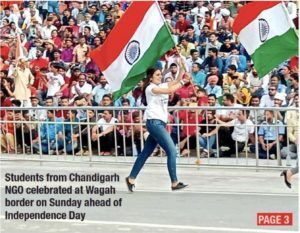 After the crowd settled in place, the gates at the border were opened and the ceremony started with a blustering parade by the Soldiers of Security forces from both the sides and ended up in the perfectly coordinated folding of the flags of India and Pakistan. 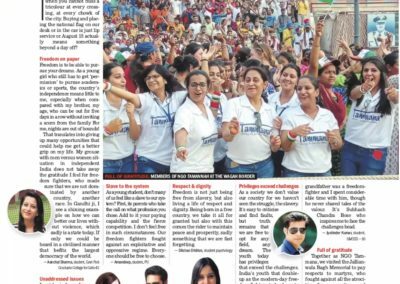 A retreat that involved a brusque handshake between soldiers from both the sides won all hearts. 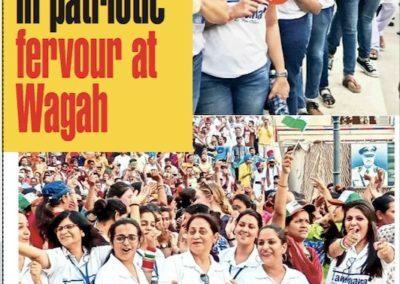 The team, inspired by the soldiers, left with a higher spirit and belief of serving the society and being good citizens as every good citizen adds to the strength of a Nation. 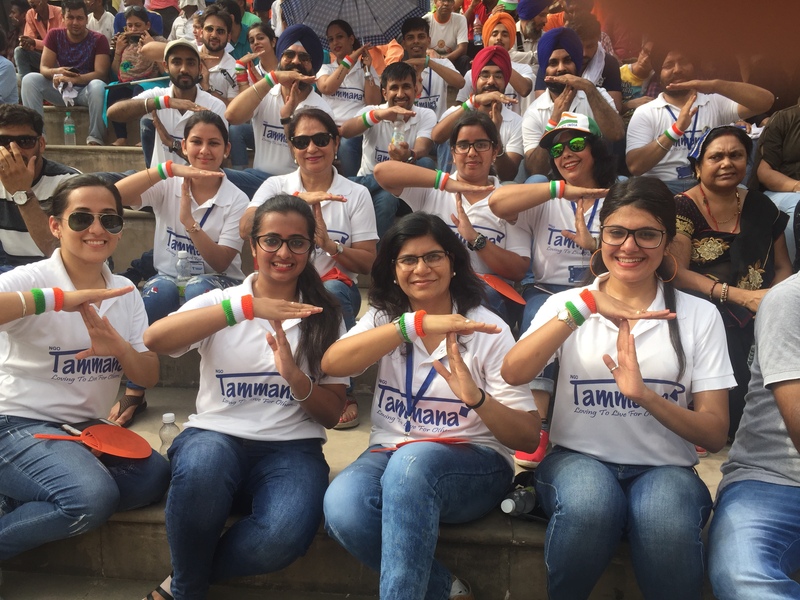 The next day, Team visited the Golden Temple to celebrate the completion of 10 years of the NGO. The team also enjoyed a Hi-tech tour of the Sikh history and ethos at the basement of the Golden Temple plaza. 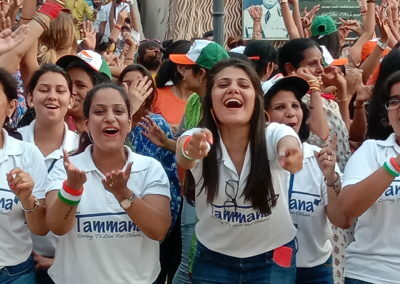 At last Team Tammana visited the Jalianwala Bagh Memorial to pay their respects to the Martyrs, who fought against all the atrocities for our Nation and pride, and taught us the real meaning of bravery and courage, said a NGO member Sana Sachdeva.